If you could go back in time, how would you do it? and what year would you select? 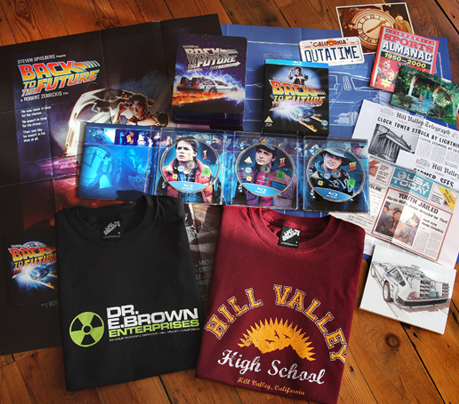 The most imaginative suggestion will win this limited edition boxset including our Hill Valley High School and Doc Emmett Brown Back to the Future homage T-shirts. Entries must be sent to info@lastexittonowhere.com with the subject ‘Christmas BTTF Competition’ and in by December 9th 2010 23.00 (GMT). The winner will be announced on the 10th of December. Good luck time team.